Don’t get dirty. Don’t talk loudly. Don’t wear jeans like all the other kids. All her life, Tallulah has heard DON’T. She knows plenty about what she can’t do and what she shouldn’t do, and all about what kind of girl she isn’t. Now she needs to find out what kind of girl she is . In her picture book debut, New York Times bestselling author Tori Spelling teams up with illustrator Vanessa Brantley Newton to bring us the uplifting story of a spunky little girl who, with the help of some special friends, is able to discover her true self—and to let her spirit shine. Tori Spelling starred in and executive produced the Oxygen hit reality television series Tori & Dean: Inn Love and Tori & Dean: Home Sweet Hollywood. She recently hosted TLC’s Craft Wars and appeared in the ABC Family original musical The Mistle-Tones. 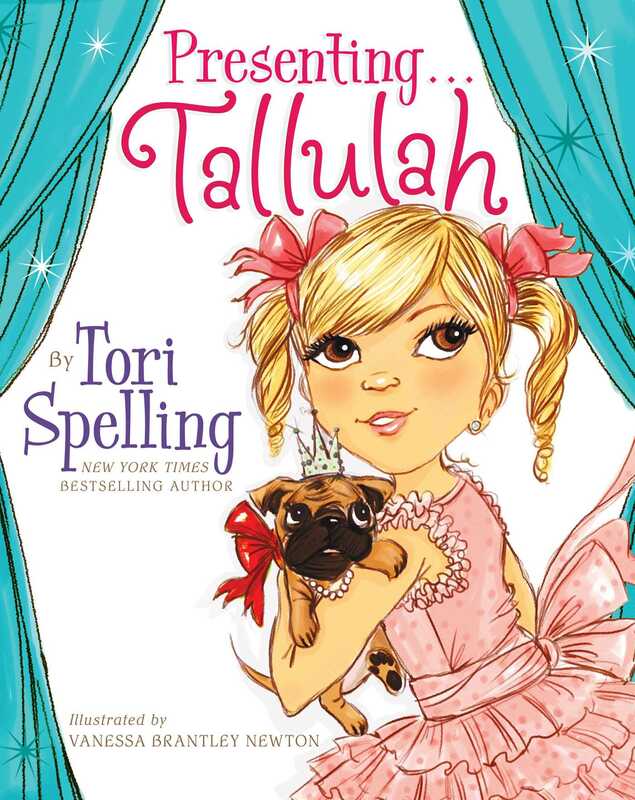 The creator of the online lifestyle magazine ediTORIal at her website torispelling.com, she is also a #1 New York Times bestselling author of three memoirs; a party planning book, celebraTORI; and a children’s book, Presenting…Tallulah. She and her husband, actor Dean McDermott, live in Los Angeles with their four young children, Liam, Stella, Hattie, and Finn.